Maarja Nuut at globalFEST, Webster Hall, New York, NY, 1/8/2017. Ranky Tanky at globalFEST, Webster Hall, New York, NY, 1/8/2017. Septeto Santiaguero at globalFEST, Webster Hall, New York, NY, 1/8/2017. Rudresh Mahanthappa's Indo-Pak Coalition at globalFEST, Webster Hall, New York, NY, 1/8/2017. 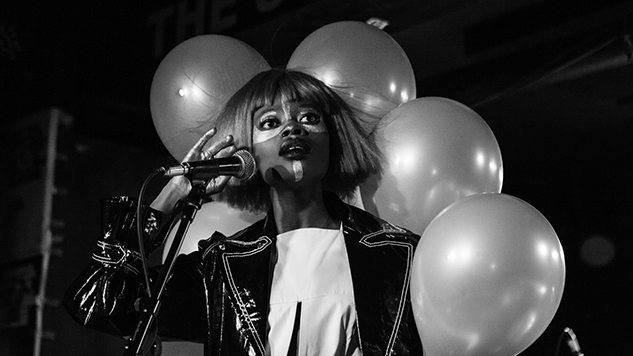 Jojo Abot at globalFEST, Webster Hall, New York, NY, 1/8/2017. L'Orchestre Afrisa International et Mbilia Bel at globalFEST, Webster Hall, New York, NY, 1/8/2017. Betsayda y La Parranda El Clavo at globalFEST, Webster Hall, New York, NY, 1/8/2017. Hoba Hoba Spirit at globalFEST, Webster Hall, New York, NY, 1/8/2017. SsingSsing at globalFEST, Webster Hall, New York, NY, 1/8/2017. 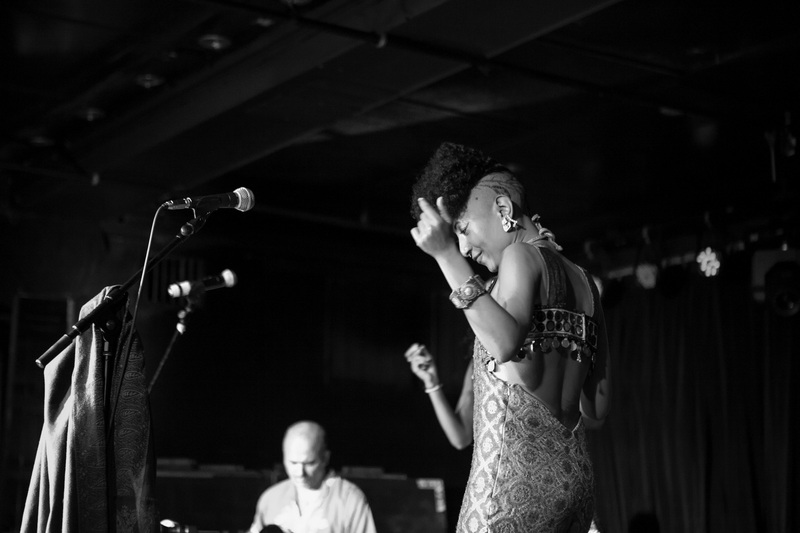 Alsarah and the Nubatones at globalFEST, Webster Hall, New York, NY, 1/8/2017. Rare Essence at globalFEST, Webster Hall, New York, NY, 1/8/2017. Batida at globalFEST, Webster Hall, New York, NY, 1/8/2017. Many listeners are too easily intimidated by the strangeness of music from other cultures. But you didn’t have to understand the history and politics of the ongoing civil war in Sudan or its musical soundtrack to appreciate the appeal of Alsarah at globalFEST in New York last Sunday night. You didn’t have to be familiar with the Saharan/Mediterranean instruments of the oud and the dumbek to enjoy the virtuosic playing of her band, the Nubatones. You didn’t have to understand the Arabic language to catch the currents of homesickness and optimism in Alsarah’s soprano. Such lessons were imparted again and again during the five-hour globalFEST in Manhattan’s East Village. 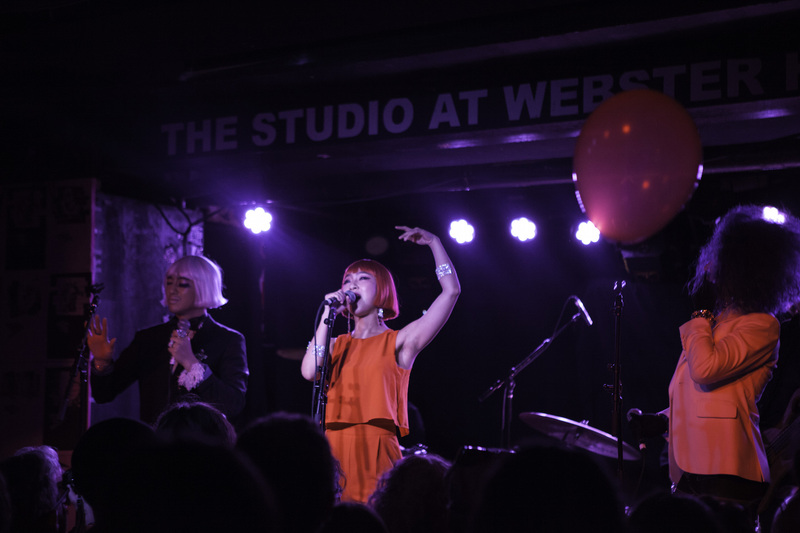 The event took place in Webster Hall, which boasts three stages—large, medium and small—on three floors. Playing 45-60 minute sets were acts from and inf Sudan, Cuba, the Congo, Venezuela, Ghana, Angola, Morocco, Korea, India, Pakistan, Estonia and, yes, the United States. But no matter how exotic an act sounded and looked, it was never hard to grasp the musical fundamentals underneath. Alsarah, for example, wore a pants suit of shimmering maroon circles and a necklace of silver rods and colored beads; her hair rose in a ball, but the sides and back of her head had been shaved into leaf designs. She sang long, sliding notes in Arabic, but she spoke in English about her childhood in Khartoum and her recent experience filming a documentary in Sudan’s refugee camps. But even without the English explanations, it was easy to fall under the sway of the rippling melodies of her voice and of Brandon Terzic’s oval-shaped oud. Likewise, the rhythms of Rami El Aasser’s hourglass-shaped dumbek and Mawuena Kodjovi’s electric bass elicited a physical response without any interference from the mind. The oud belongs to the guitar family of instruments, and any guitar fan could quickly recognize Terzic’s agility and imagination on the strings. The same was true of Huit-Kilos Nseka, the lead guitarist for L’Orchestre Afrisa International since 1983. Like Franco Luambo and Diblo Dibala before him, Nseka is a master of the soukous guitar style, those quicksilver arpeggios that seem to fall upon the muscular rhythms like raindrops. It’s one of the world’s great guitar sounds, and Nseka does it as well as anyone. L’Orchestre Afrisa International was founded and for decades led by the legendary Congolese singer Tabu Ley Rochereau until his stroke in 2008, followed by his death in 2013. His band has carried on without him, and Sunday night they proved that they are still one of the most impressive ensembles in Africa—if only as a showcase for Nseka’s dazzling fretwork. Female singer Blandine Mbiya Kaniki and male singer Doddo Munoko Gisalu may not have Rochereau’s commanding presence, but they are fine singers. Their new album, Melanie, documents their buoyant music—though not their hip-grinding choreography. Another band with an illustrious history is the 21-year-old Septeto Santiaguero (which, despite its name, is now an octet). This group plays the more rural, cowboy-influenced version of Cuban son music popularized in North America by the Buena Vista Social Club’s Eliades Ochoa and Compay Segundo, who also grew up in Santiago on the southeastern tip of Cuba. 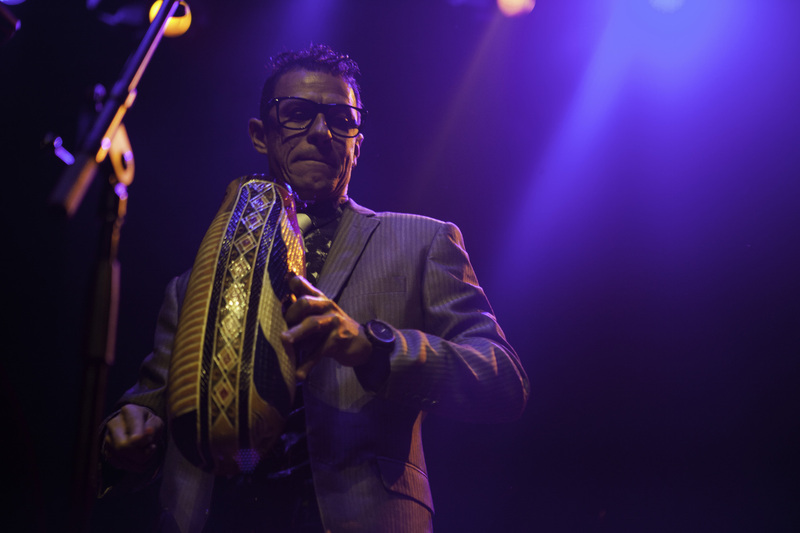 Septeto Santiaguero featured two acoustic guitarists, Fernando Dewar and Rudens Matos, who set up gentle syncopation with sparkling guitar runs and supported the beat with concise chording. You didn’t need to understand Spanish or the push-and-pull of the rhythms to move to the music and swoon to the two lead vocalists. But the most folkloric act of the whole evening was Betsayda y La Parranda El Clavo, a septet from a small village in Venezuela who had never traveled beyond their homeland before last year. Betsayda, a striking figure in a blue-and-crimson turban and gold-and-blue caftan, was joined by two women and four men. All seven performers sang and played various percussion instruments; no melodic or chordal instruments were to be found. This ancient African-diaspora tradition was perhaps the biggest leap for Americans to make, but make it they did, thanks to the pull of the vocal harmonies and the beats. Those rhythms came from African drums hanging from slings, incised gourds scraped with a stick, tall narrow goatskin drums and wooden cylinders clicking on wooden blocks. Like a lot of the evening, it was strange enough to be fascinating and musical enough to be disarming. At the opposite end of the spectrum lied SsingSsing, a Korean sextet that blended K-pop, ‘60s girl-group harmonies and drag-queen camp into a theatrical fantasia. Two female impersonators and one actual female formed a vocal trio in outlandish wigs of scarlet, platinum and blue that sang over-the-top pop songs in Korean, backed by a rock trio. It was the kind of show that works much better live than it ever would on record. Hoba Hoba Spirit seemed to be working out what The Clash might have sounded like if they had grown up in Morocco listening to Gnawa tribal music instead of growing up in London listening to reggae. The singing was in Moroccan and the punk-rock was energetic, but it fell far short of The Clash. Rare Essence, the legendary go-go band from D.C., closed out the night on the big stage, but these days the group is more of an oldies act than a trailblazer. More satisfying was Rudresh Mahanthappa’s Indo-Pak Coalition. Alto saxophonist Mahanthappa grew up in Colorado with Indian-born parents, and guitarist Rez Abassi grew up in California with Pakistani-born parents. After growing up as conventional American kids who loved R&B, then jazz, they embraced South Asian music as adults, but filtered it through their jazz backgrounds. Completing the trio was Dan Weiss, an American drummer who has become a tabla specialist as well. He would sit cross-legged on the floor to tap out patterns on the twin tablas and would rise to sit on a drum stool to play a small trap kit. Egging each other to stronger pulses and bolder improvisation, the three musicians proved that South Asia’s Carnatic tradition can form an unprecedented basis for jazz improvisation with exhilarating results. The biggest surprise of the evening, though, came not from Asia nor Africa. It came from South Carolina, where a quintet called Ranky Tanky has updated the Gullah tradition of the Georgia/Carolina sea islands with gospel vocals, jazz trumpet solos and an R&B rhythm section. Isolated on those islands, slaves developed their own language and music that remained more African than anything on the mainland, creating a culture like no other. Ranky Tanky, which takes its name for the Gullah phrase for “work it” or “get down,” transforms the hymns, party anthems and children’s songs of the islands into infectiously rocking numbers. 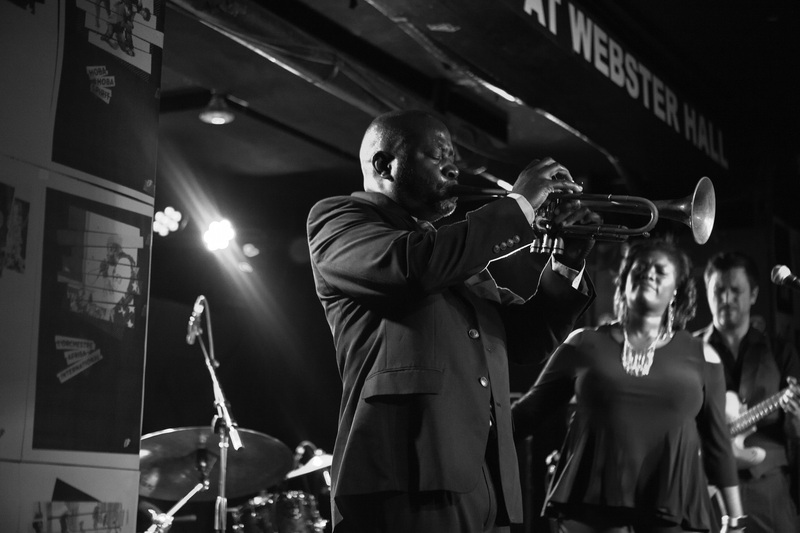 Quiana Parler is a big-voiced, joyful singer; Charlton Singleton is a marvelous trumpeter, and Clay Ross stitches everything together with his introductions and unusual rhythm-guitar solos. Like the best of globalFEST, Ranky Tanky proved that exotic music can be both unfamiliar enough to be surprising, and yet familiar enough to provoke swinging hips and nodding heads. When it works, it’s the best of both worlds.